Caribbean national security officials keenly noted Puerto Rico’s (PR) progressive crime rate, especially murders. In 2018 six hundred and forty-one residents were killed. Regional intelligence data assigned the island’s drug warehousing popularity, with transnational criminal organizations, as the leading contributor. US Drug Enforcement Administration (DEA) agents credited sixty percent of PR’s murders to drug activity. 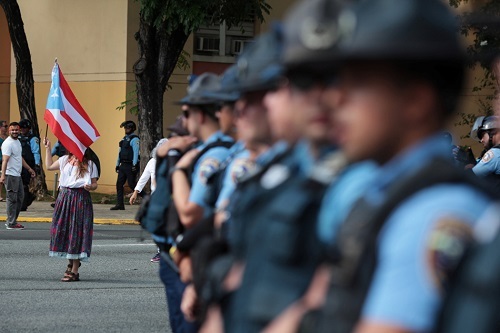 During the last five years four thousand Puerto Rican police officers, equivalent to one quarter of the island’s total force, resigned due to unacceptable wages and benefits. 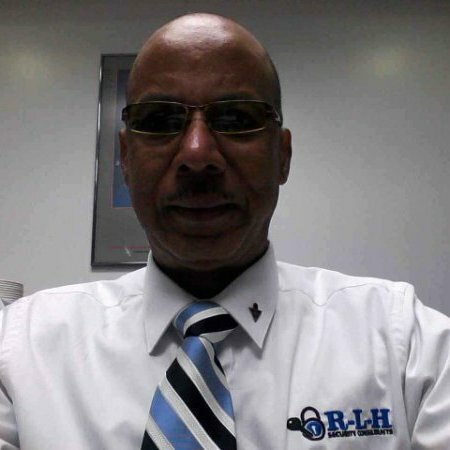 In early January 2019 the US Federal Bureau of Investigations’ (FBI) Special Agent-In-Charge acknowledged that PR faced a “security crisis.” The Caribbean’s second most populous country murder rate is pegged four times higher than its mother country. Between January 1 and 10, 2019 PR registered twenty-four murders. An exchange of gunfire that broke out in the Isle Verde tourist area killed one person and injured another. Such activity prompted Haiti’s FBI boss to petition mainland America for additional staff and equipment. At one murder scene the gas station surveillance picture featured above captured a mask gunman as he approached the white car to shoot and kill the driver. In a 5:30am murder the popular openly gay twenty-four year old Hispanic rapper Kevin Fret, who mostly lived in Miami, was “gunned down” travelling on a motorbike in San Juan, PR. Previously in June 2018 the victim was arrested by Miami police officers for battery after involvement in a fight. On Wednesday January 09th 2019 C.I.C Homicide Division detectives stationed in Bayamon, the district with several national landmarks, probed a 1:15am telephone report of gunshots along the PR-194 kilometers 3.5 in Fajardo eastern PR. Logistics show that between 2016 and 2018 US Customs & Border Protection (CBP) intercepted several maritime cocaine shipments, weighing between five hundred and seven hundred kilos, transiting PR’s coasts. In March 2017 one point six metric tons of cocaine, worth US$48 million, was found aboard a high-speed narco boat navigating in coastal waters. Transnational drug traffickers, who operate from the Dominican Republic (DR), coordinate consignment movements. The DR traffickers fragment mega shipments to small units then ship the drugs northeast. Oftentimes consignments are sent via the US Postal System or with human drug mules/couriers that travel aboard commercial airlines. Transnational criminal organizations have become so interwoven in PR’s infrastructure that San Juan Luis Muñoz Marín International Airport was utilized as a conduit for cocaine movements to the US mainland. Evidence highlighted two crafty trafficking syndicates comprised of Transportation Security Administration (TSA) baggage screeners, private security staff, airline employees and airport restaurant personnel, who dispatched drug laden planes to New York and Miami.